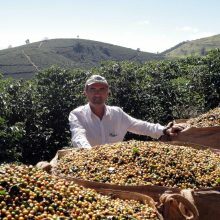 Fazenda Passeio Mundo Novo Nat. 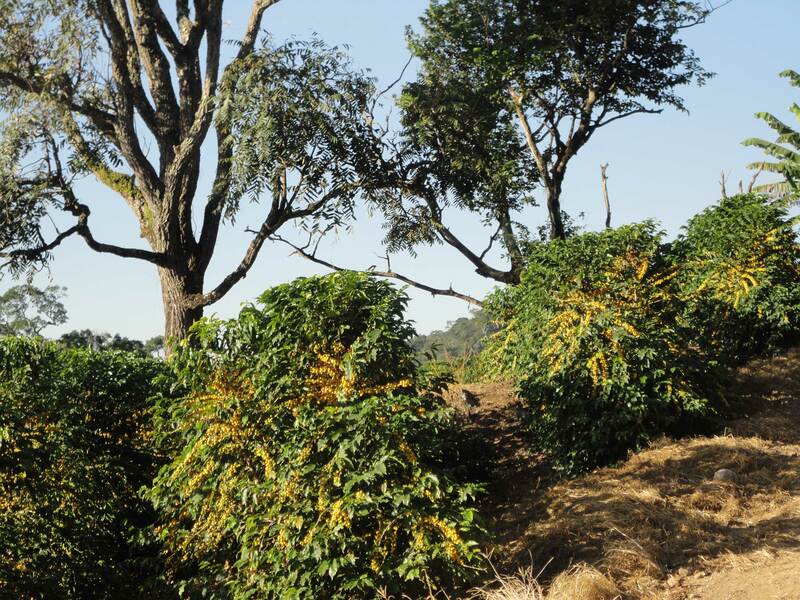 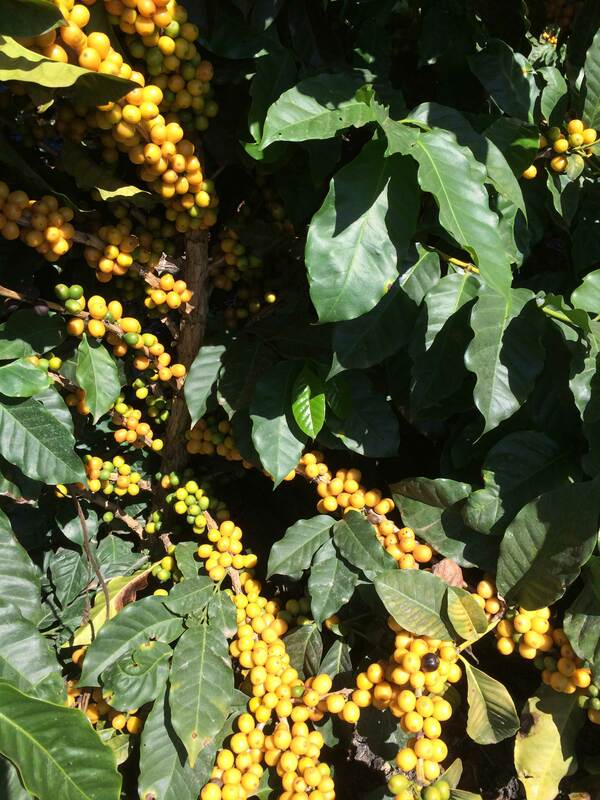 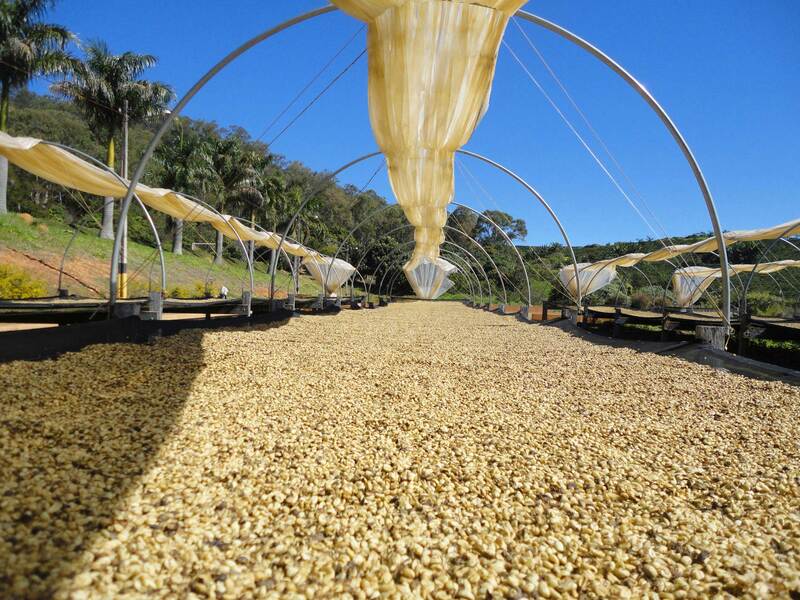 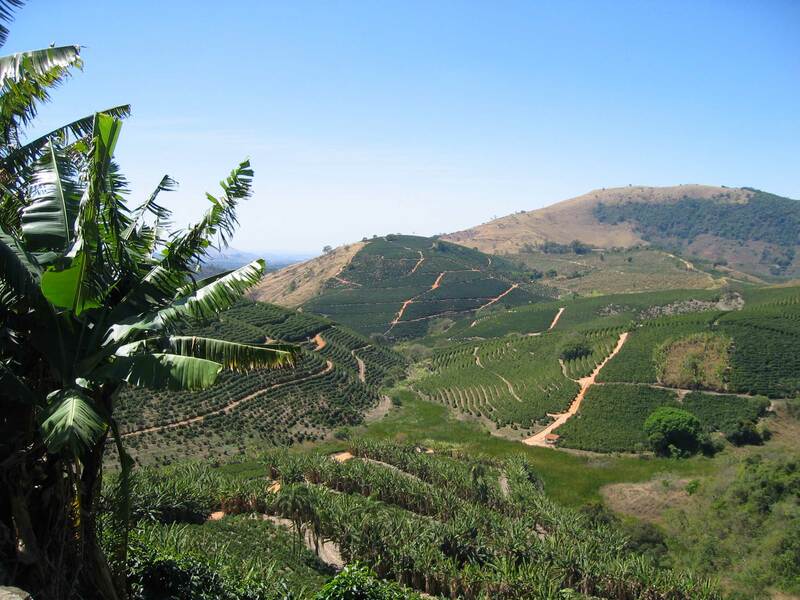 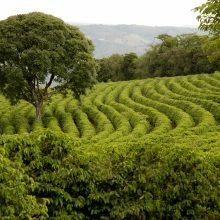 Fazenda Passeio is located in prime specialty coffee country in the heart of Sul de Minas. 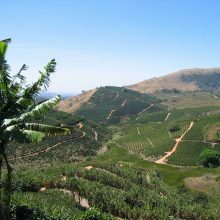 The farm’s 130 hectares of plantations lie between 1,100 and 1,200 metres above sea level, in a mountainous area with excellent soil fertility and regular rains. 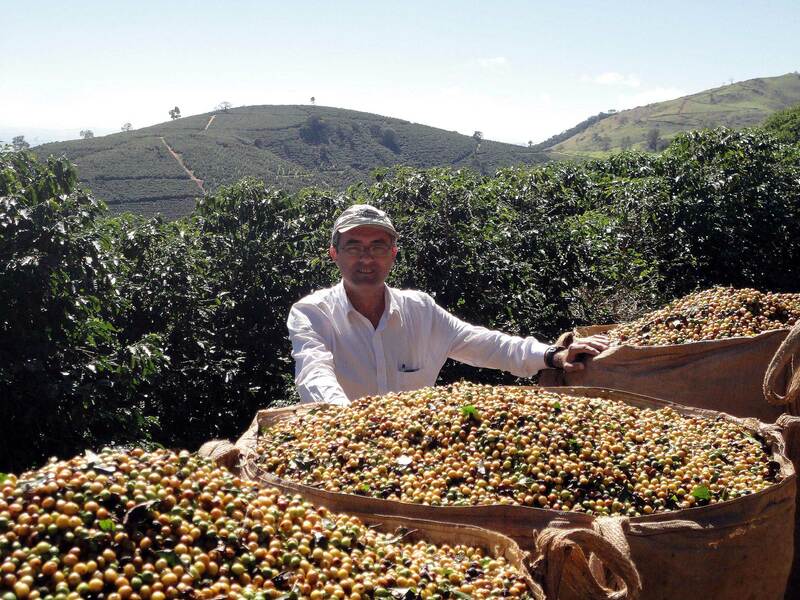 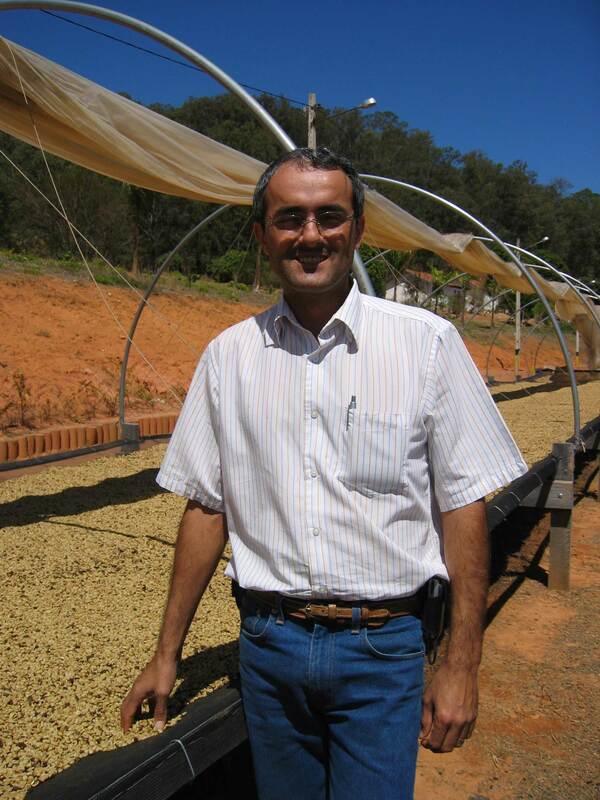 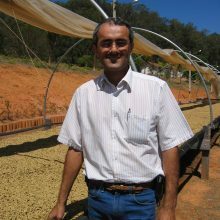 The Vieira Ferreira family has specialized in coffee production for three generations and is now headed by Adolfo Vieira Ferreira, whose attention to detail and commitment to producing top class specialty coffee is second to none. 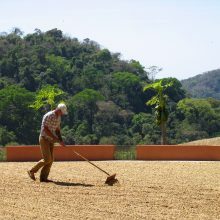 In order to guarantee quality, the farm employs a high number of skilled workers to carry out most of the production process by hand - from soil preparation for planting, to hand picking of the ripe cherries. 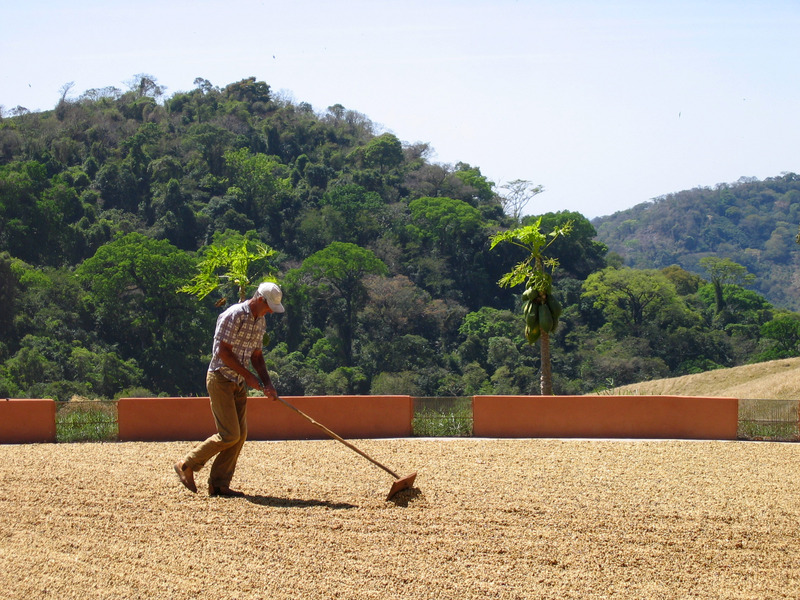 In return, the farm looks after its workers - permanent workers and their families live on site, and are provided with schooling for their children, professional training, and environmental education. 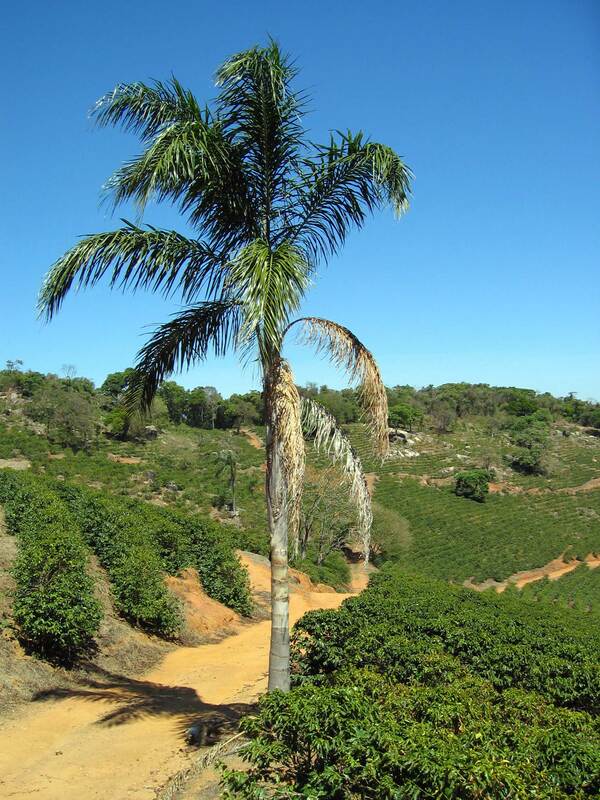 The farm also takes environmental sustainability seriously and abides by all Brazilian environmental protection laws. 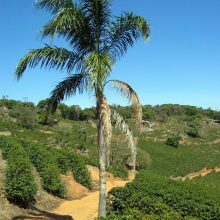 Its native forests are set aside as protected reserves and are often visited by tourists, school children and ecologists. 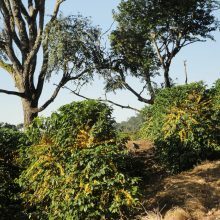 The farm also regularly plants new trees, particularly around its water sources, in order to maintain the local ecosystem. 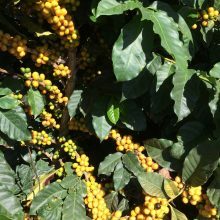 Passeio’s coffee is harvested only when the cherries reach an advanced stage of ripeness, to avoid processing green beans. 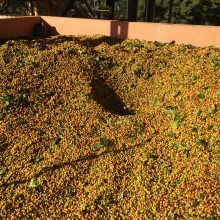 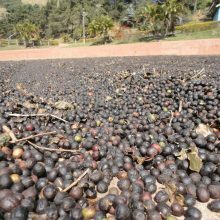 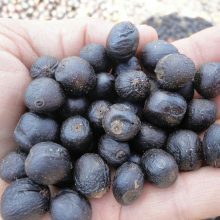 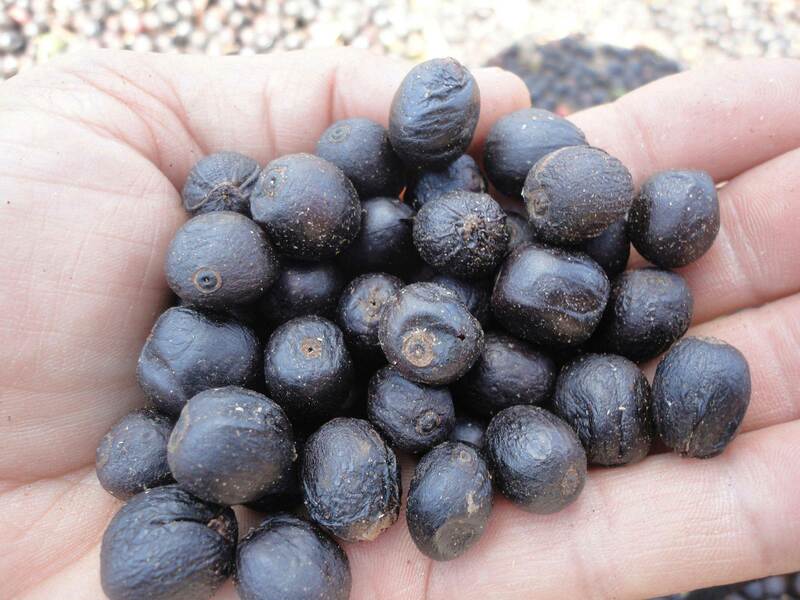 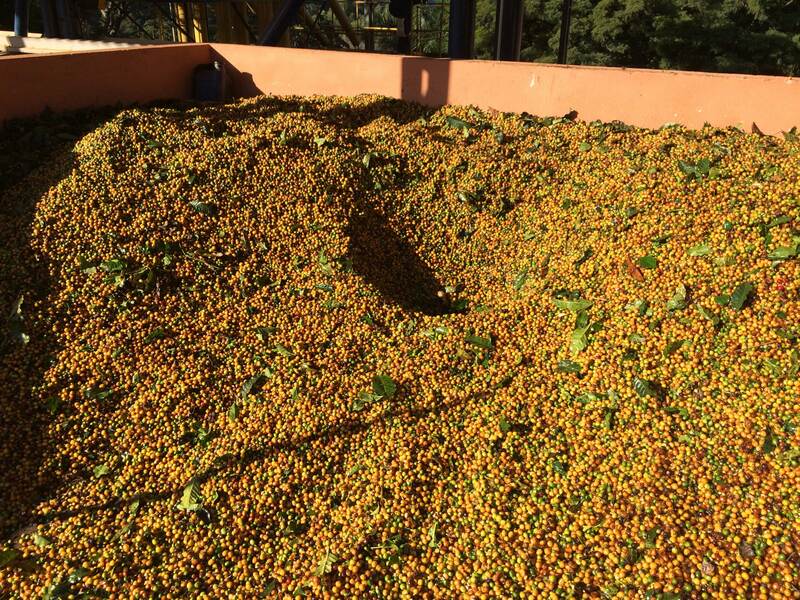 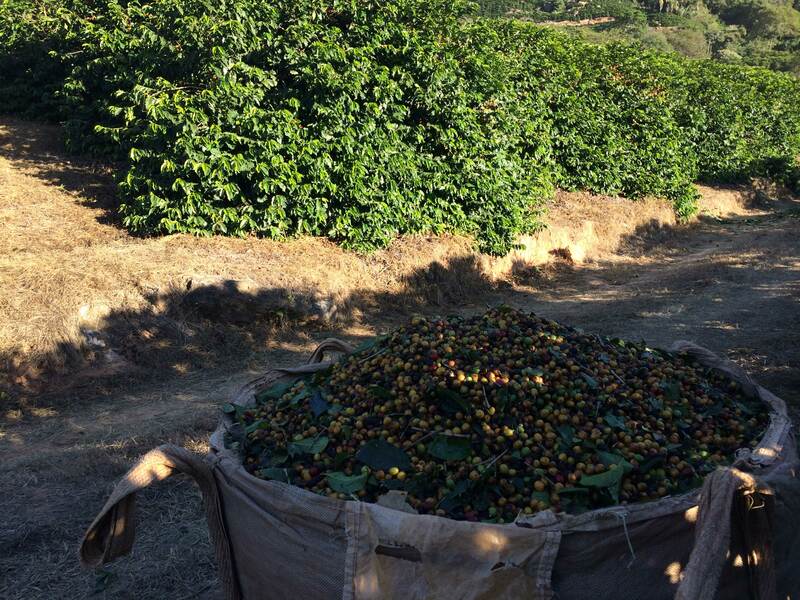 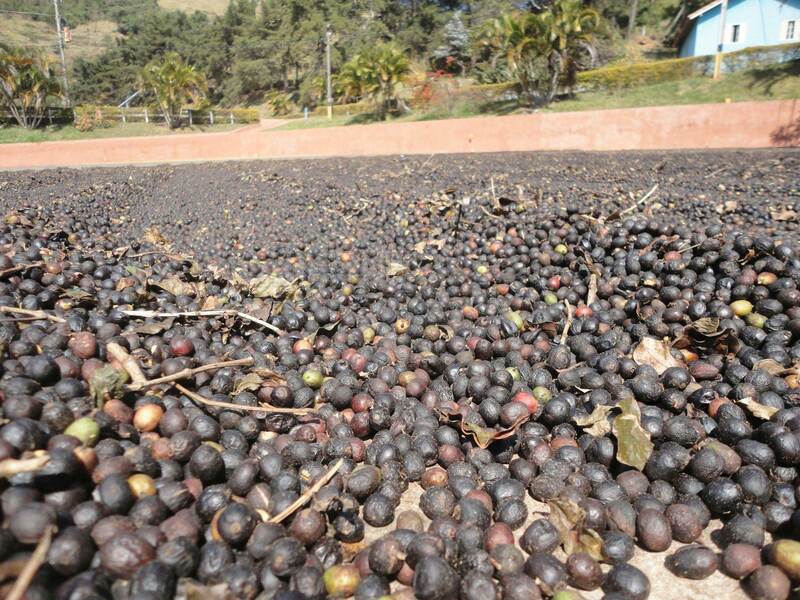 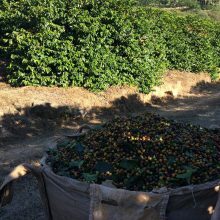 All the cherries are hand picked and then natural lots are immediately dried in the sun on the farm’s extensive patios with the cherry still attached, typically producing a fruitier, wilder cup. 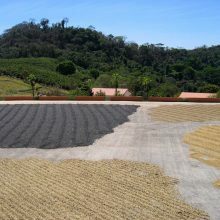 The coffee is then kept in parchment in wooden resting bins for a minimum of 60 days before the final dry milling and sorted immediately prior to export. 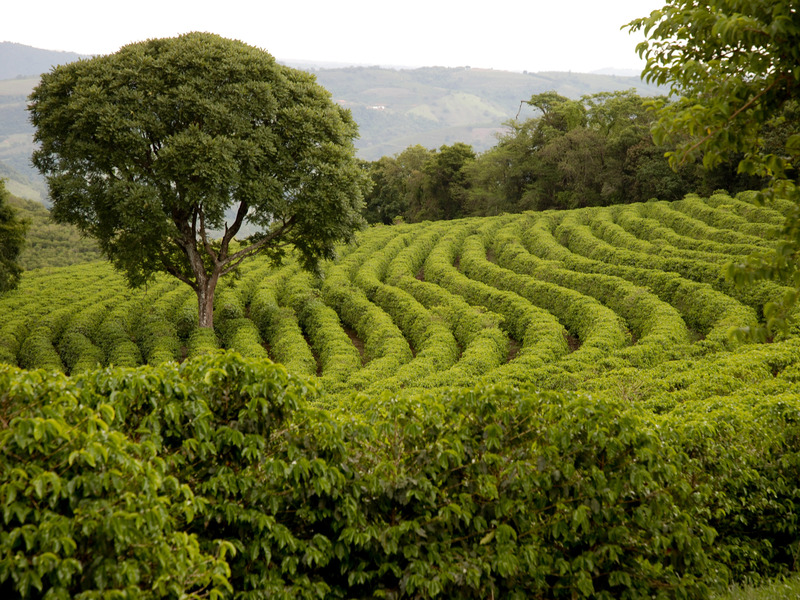 The farm cultivates several different coffee varietals - including Mundo Novo, Catuaí, Acaiá, Icatú, and Bourbon. 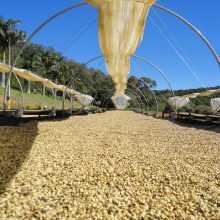 This particular coffee is a 100% Icatú, which is harvested and processed separately from other lots to maintain its own distinct characteristics. 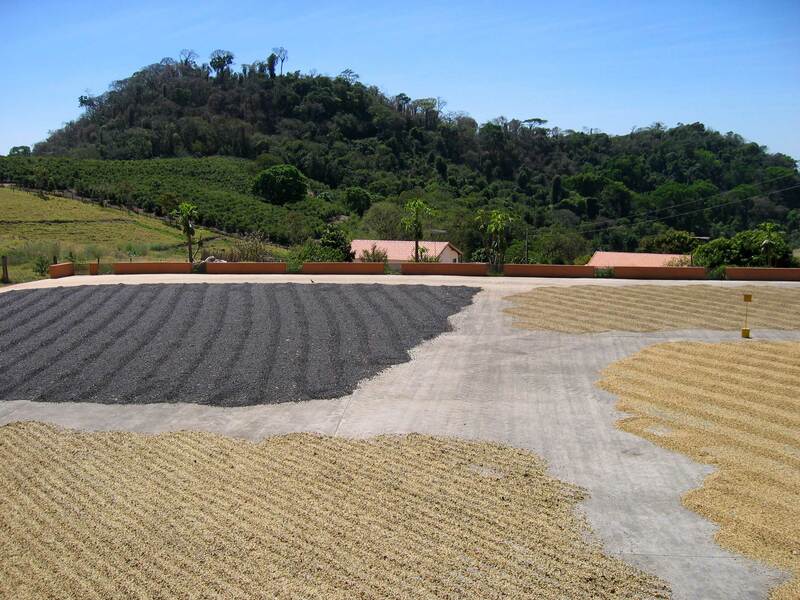 Processing facilities: Complete wet sorting and pulping line; 4.000m² of paved patios; suspended covered platforms, cylindrical driers with controlled temperature furnaces; wooden bins for parchment coffee storage; dry milling line for sorting and grading of finished product.